CHOOSE FROM OUR STOCK DESIGNS AND SLOGANS OR CREATE A CUSTOM DESIGN! 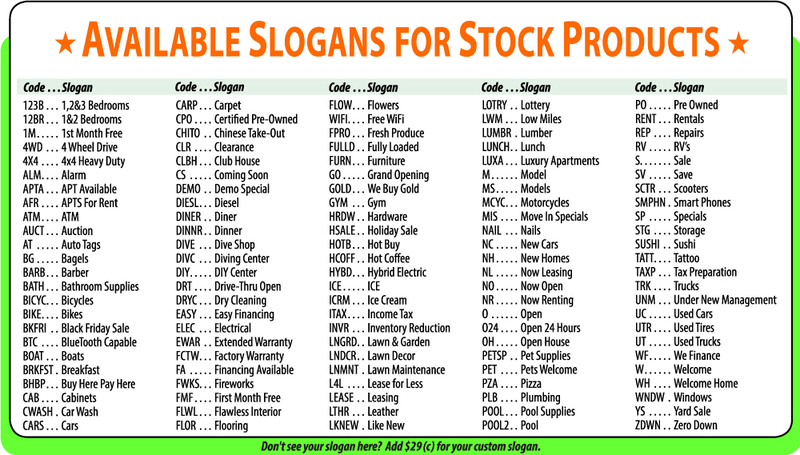 We have over 100 stock slogans to choose from! We can also print your custom text for $29! This color chart is for reference purposes only. Colors may slightly vary.